A good fare to Colombo. Limited availability. 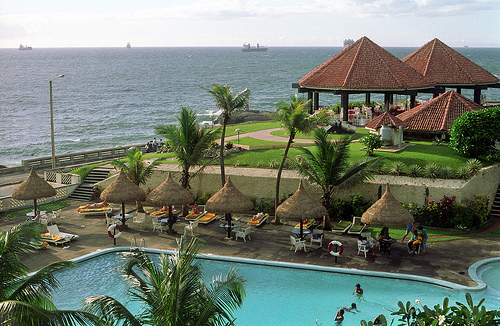 Colombo is great destination and also a good gateway to the Maldives. If you collect British Airways Avios or have Chase Ultimate or American Express Memberships points, it only takes 4,500 points to fly each way between Colombo and the Maldives. Note that Chase and AMEX points need to be transferred to British Airways. 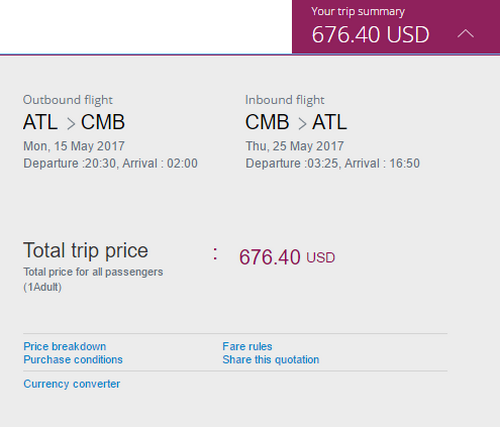 ITA will pull up prices of $706 while Qatar Airways will most likely price the same fares at $646. Here are some practical travel tips to Sri Lanka. Valid for travel in mid-May, 2017 for Sunday through Wednesday departures and for Monday through Thursday returns. Must purchase at least 5 days in advance of departure.